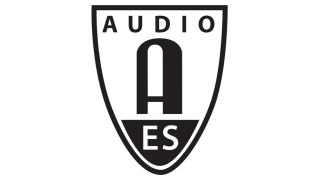 The Audio Engineering Society will hold the second International Conference on Audio for Virtual and Augmented Reality on August 20-22, 2018, at the DigiPen Institute of Technology, Redmond, WA. The conference and exhibition will bring together a community of influential research scientists, engineers, VR and AR developers, and content creators to explore such topics as: spatial audio capture, rendering, and synthesis over headphones and speakers; binaural, ambisonics, and wave field synthesis techniques; 3D sound field navigation; HRTF modeling and derivation from optical and/or acoustic measurements; reverb and room acoustics synthesis; 3D audio mixing and content production; and sound design for VR/AR. The conference’s keynote presenters—Jean-Marc Jot, Ivan Tashev, and Ravish Mehra—are at the forefront of innovation for VR and AR. The three-day conference and expo will focus on the dissemination of top-level research in the field of spatial audio for virtual and augmented reality, with demonstrations and discussions focused on technical solutions and recommended practices. Leading researchers, practitioners, and industry leaders will offer panel discussions, tutorials, and workshops on new and forthcoming technologies. The deadline for submission of papers and workshops is May 1, 2018. For more information content submissions, click here. The conference aims to be as interactive and cross-disciplinary as the field of VR and AR itself, and will include an exhibition of relevant software and product demos. Organizers expect to attract talented researchers and developers who are creating the next generation of audio tools for immersive content.